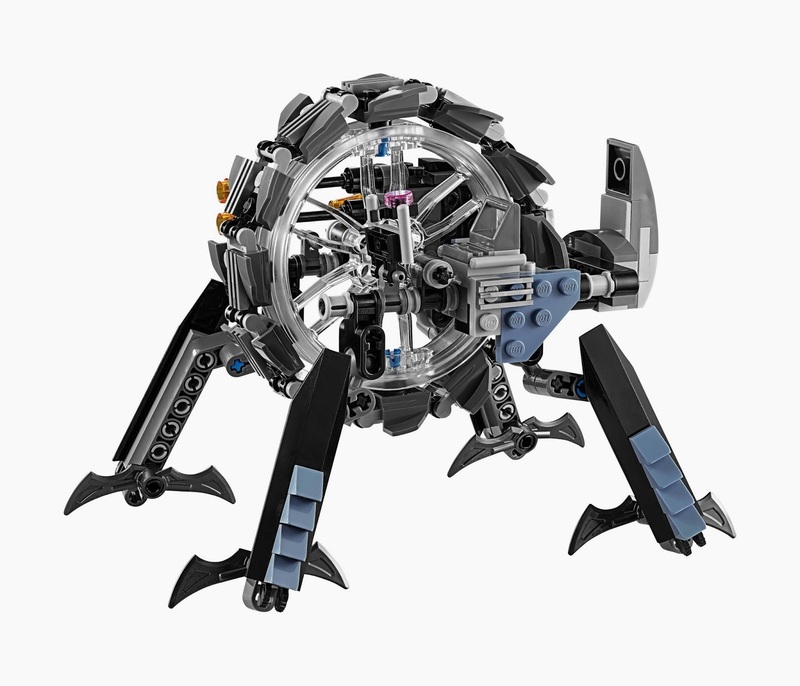 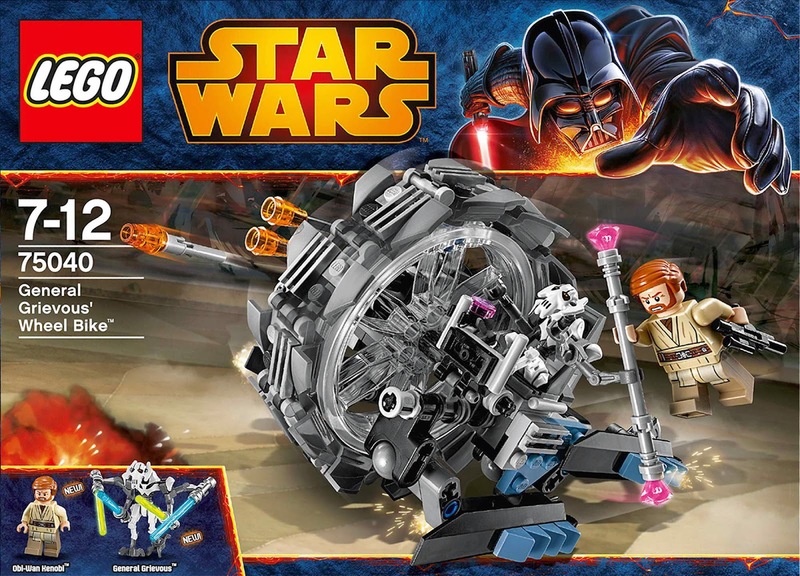 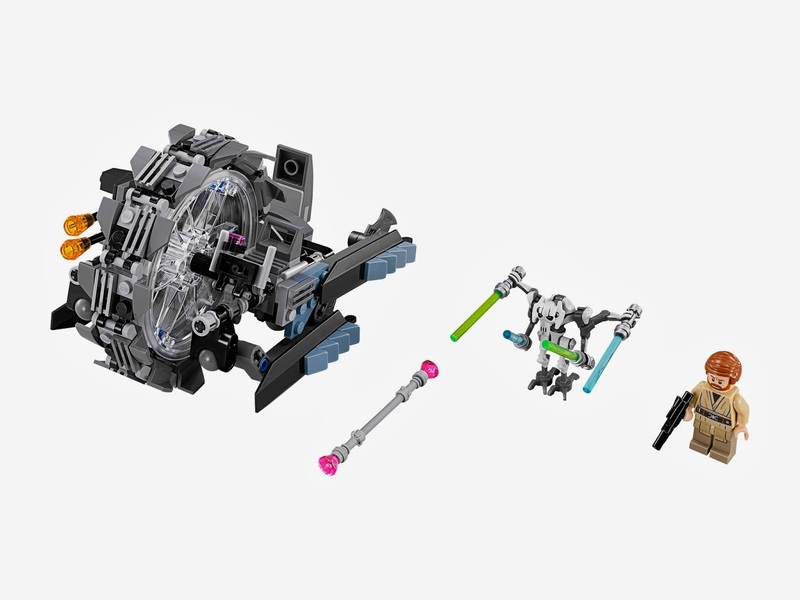 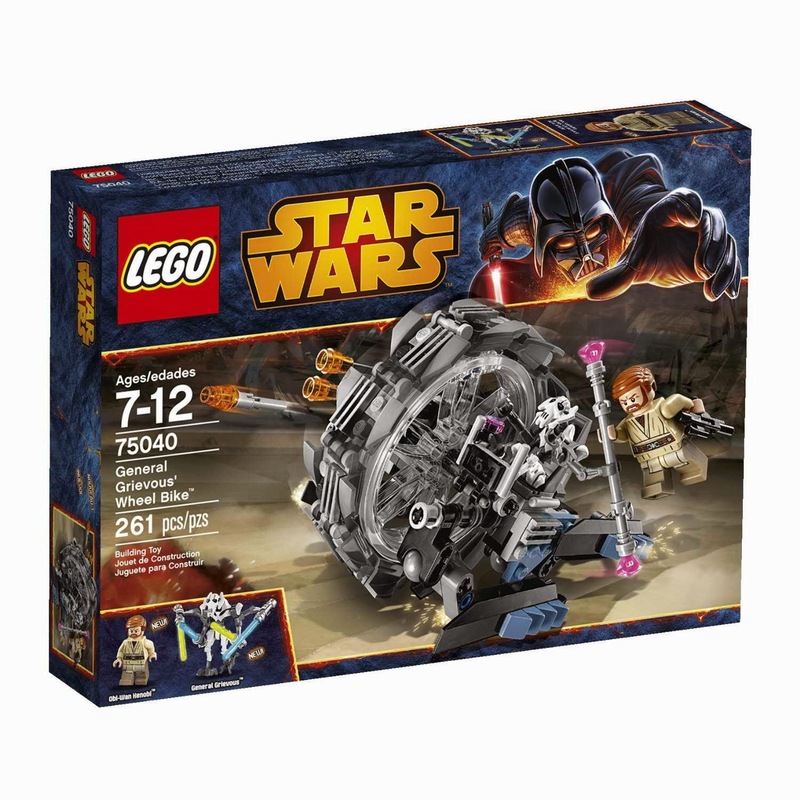 come with a general grievous' wheel bike. 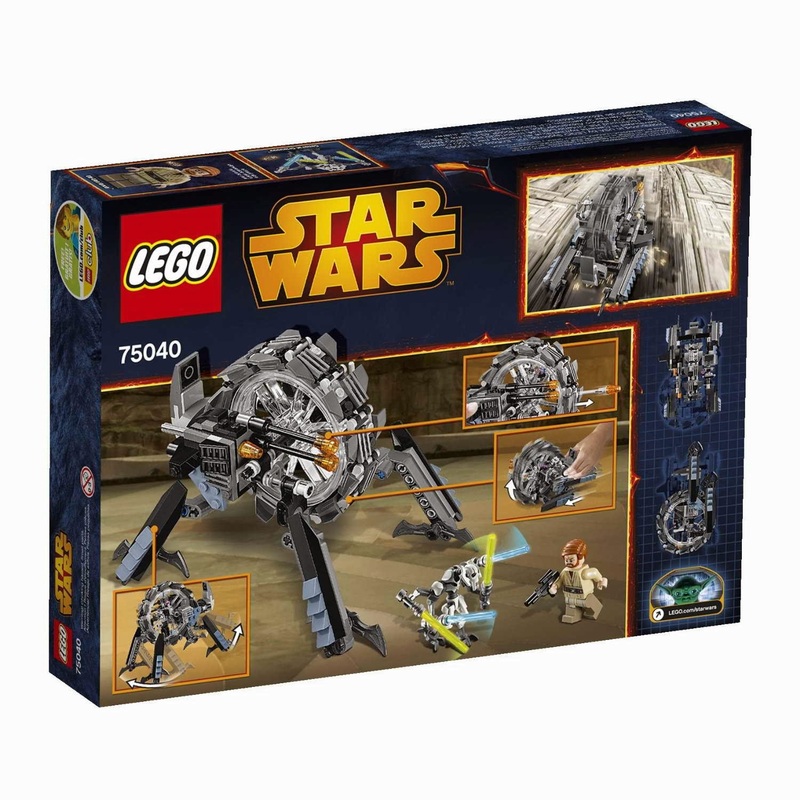 the bike has a turning wheel, foldable claw legs, double laser cannons, a flick missile and a control seat. 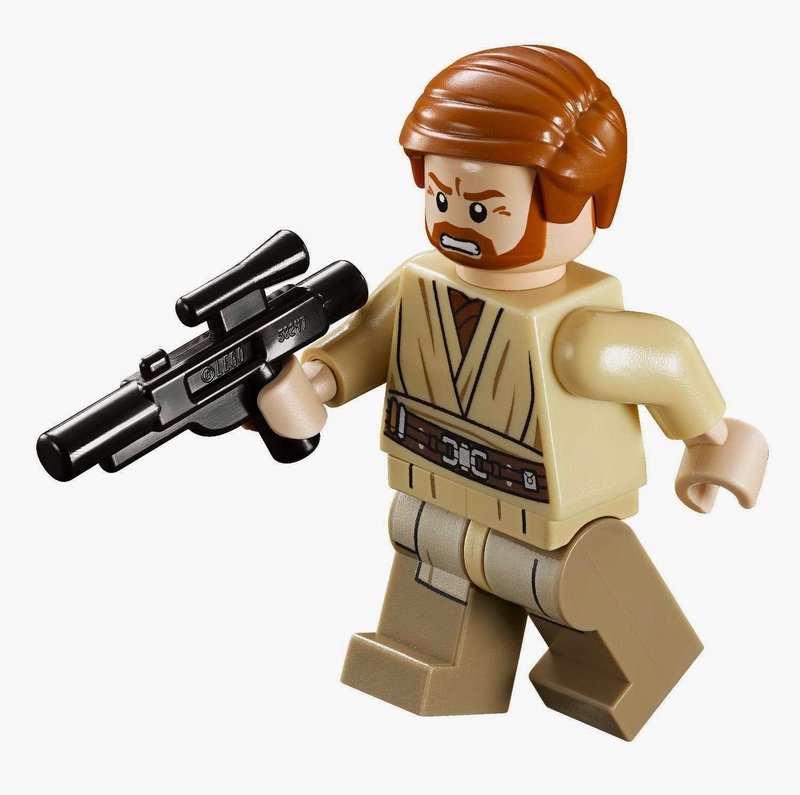 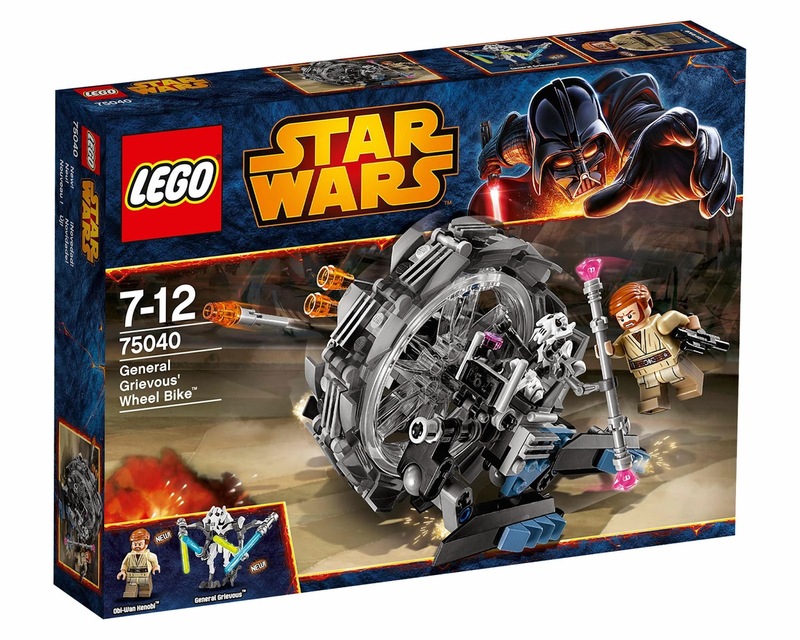 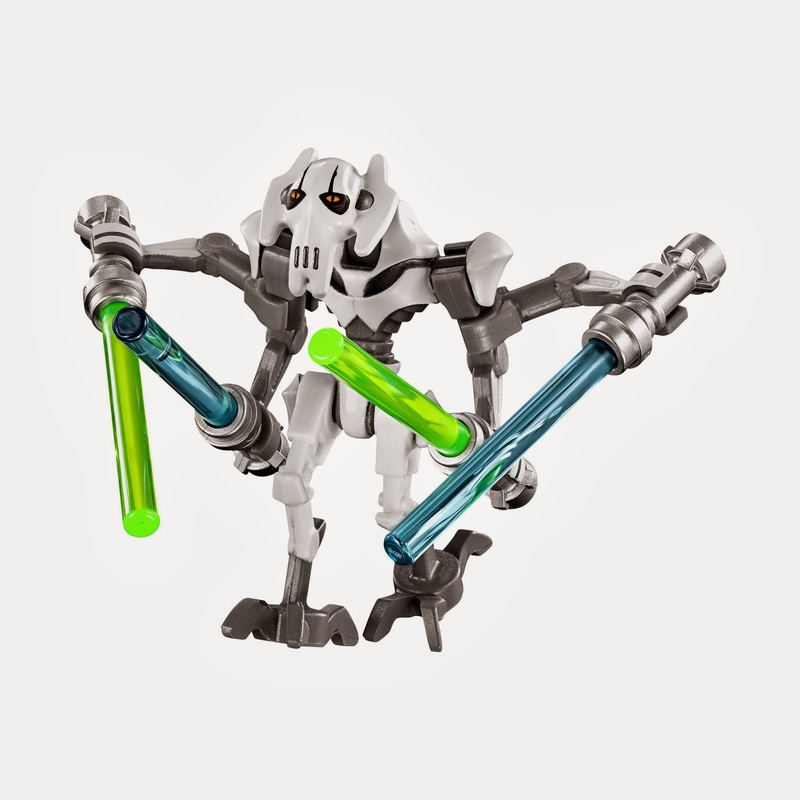 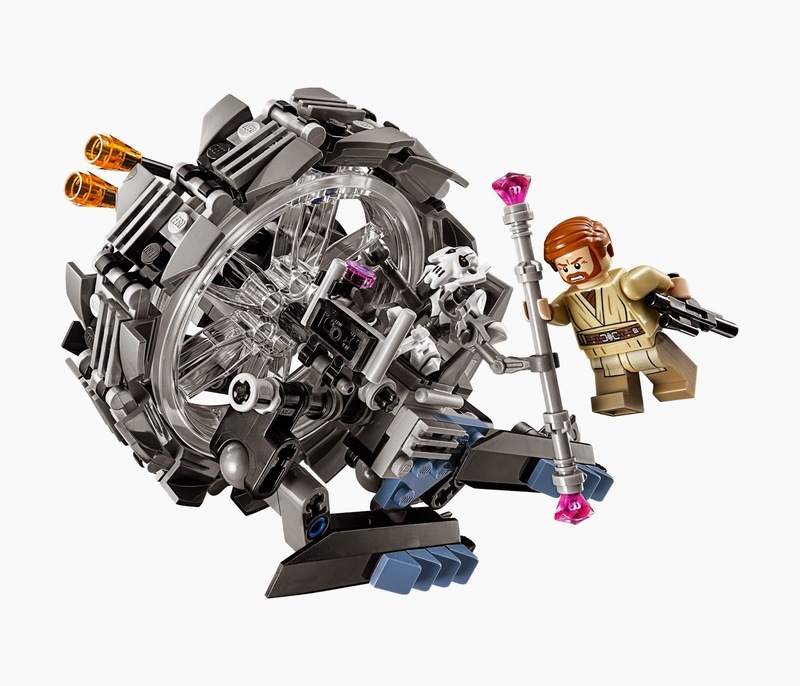 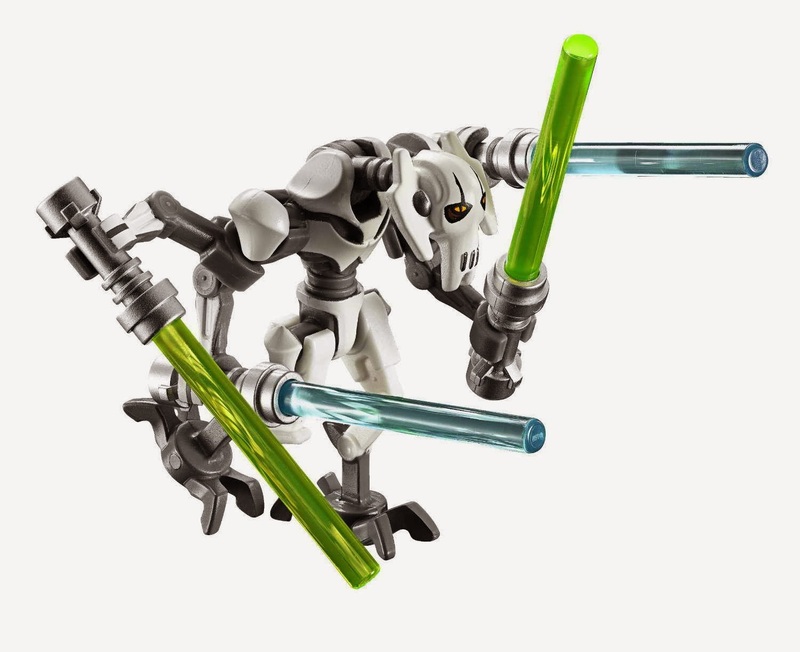 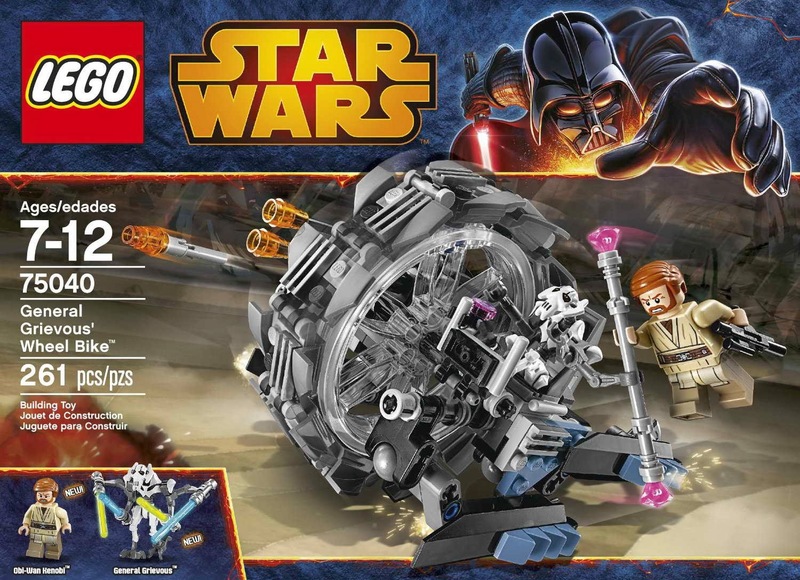 minifigs included a obi-wan kenobi minifig and a general grievous minifig.